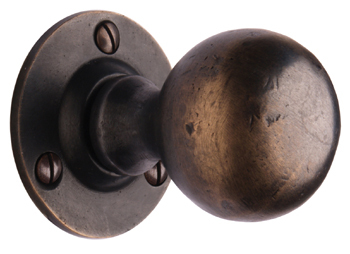 Cardea Ball Knob to suit a mortice lock comes with 8mm spindle. A unique range of dark bronze. Hot dipped in boiling oil and finished with a dark wax. These pieces can be left a dark brown in appearance or buffed to reveal a soft brown lustre.